Merit Sensor Systems: The RS Series is an uncompensated, packaged pressure sensor that is simple to integrate into your product. It is ideal for surface mount but also suitable for soldering to wires, ribbon cable, and flex strip. 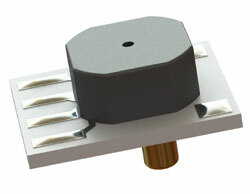 The pressure port makes connecting the sensor to the source of pressure easy. This can be done via O-ring or tubing. The RS Series is a flexible product with excellent media compatibility. For any technical questions or pricing, please submit your name and contact information at www.meritsensor.com/request-a-quote. We would be happy to help you integrate the RS Series into your product.